The Amazing Spider-man. Just those three words are enough to sell a game and so the latest Spidey adventure should sell by the bucketloads. But sales figures don’t necessarily translate to a great game and there hasn’t yet been a Spiderman title that has done for Peter Parker what the Batman Arkham games have done for Bruce Wayne. There’s always hope that the next one will be better than the last and maybe that’s all we ever ask for when we get involved with our favourite web toting super hero. And so here we are with The Amazing Spider-man 2 on Xbox 360. Coinciding with the big screen film release of the same name, gamers are going to want a whole load of Spidey to get to grips with. Have they got that? I was a big fan of The Amazing Spider-man on Xbox 360. Okay, so it wasn’t the greatest game ever to grace the console, but it was good fun to play. The story was okay, the fighting was okay and the game as a whole was just okay. What really made me keep playing it though were the numerous side missions and collectables available to find. They kept me going for hours and not once did I get bored. And so when I heard The Amazing Spider-man 2 was coming along I instantly sat up and took notice, ready to experience the latest story and hopefully go back and collect even more comics. Boy I wish I hadn’t. Where the first one was okay at best, this sequel doesn’t even match up to that. There are a whole load of things wrong with it and unfortunately for Beenox and Activision, not an awful lot of good to write home about. But we shall indeed start with the positives, so sit back, grab a super stiff drink and read on for the next 30 seconds or so before we get to the negatives. First up, and in case you weren’t sure, Spiderman is involved a fair old bit. That’s pretty par for the course, as are the numerous villains you’ll find yourself up against with The Green Goblin, Kingpin, Shocker and Electro amongst others all present. 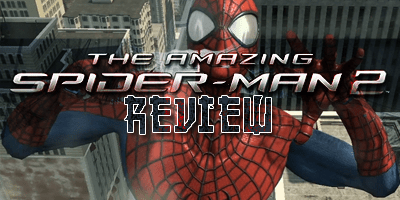 The main bulk of the story revolves around a load of Russians, Kingpin and that old Spidey favourite, Oscorp and as is normally the case, it’s up to us and Spider-man to save Manhattan from meltdown. 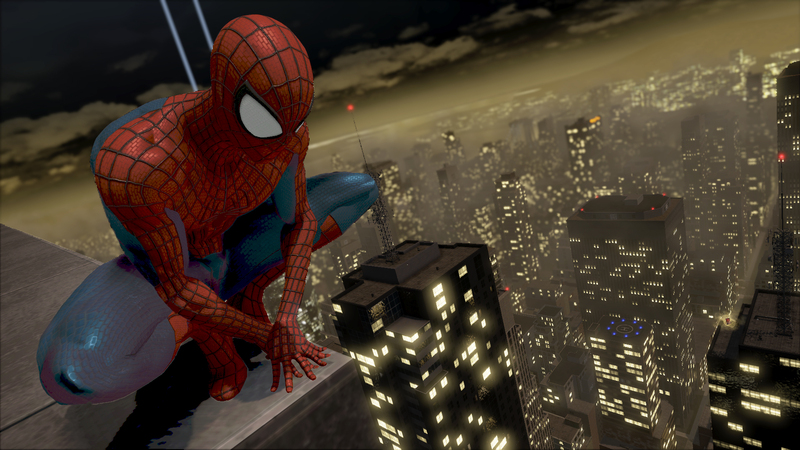 Spider-man fans will get their fix and should just about be happy enough to take in the story, swing their way around the city, deal out some justice and help save citizens from near death, but if you don’t have too much of a fondness for our hero then don’t expect to find anything here which will swing it your way. You may remember that one of my favourite bits of the first game were the numerous side missions and collectables available to find. Well, further good news is that there are a fair old amount of these to be found in Spidey 2. With car chases, photo ops, fire rescues and bomb disposals littered all over the city, you certainly won’t find a spare minute to just sit in and take in the sights and sounds of downtown Manhattan. Which is a bit of luck really, because you won’t wanna be taking in the sights and sounds of downtown Manhattan, as any views that could (and really should) have been so good, have turned into a right old mess. Poor graphics, crazy flickering lighting effects, bland textures and sudden pop ups mean the vast majority of what you see on your screen will be coming at you straight from 2008 or in some cases, much earlier. It’s highly disappointing to see and a massive step back from anything else we are used to, especially if you also own an Xbox One. Whilst the actual storyline is of a decent enough quality, you’ll constantly be finding yourself laughing and then quickly crying at how abysmal the voice acting and character movements are. It’s all old hat and makes you want to help Spidey hang himself from one of his own webs. 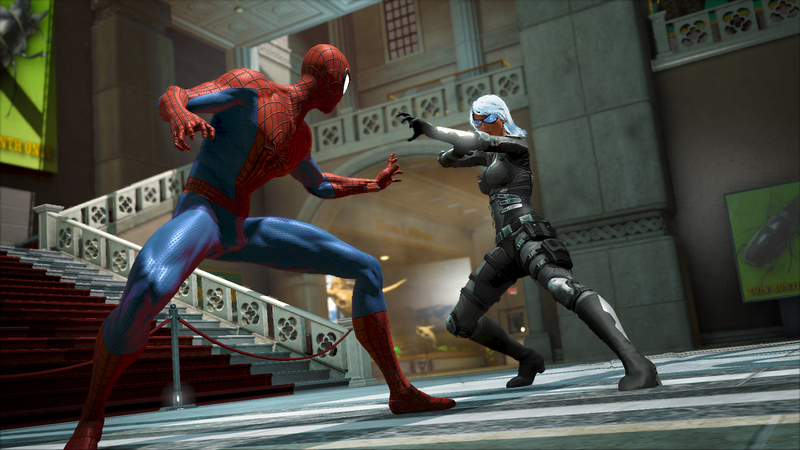 Whilst on the old webbing subject, you can obviously tie up or pin enemies to the floor but by doing so there is no mechanic to stop victims and Spider-man from partaking in a bit of character combining, instead allowing characters to walk straight through each other…something else we haven’t seen for many a year! When you do come across any enemies you’ll find that other than the big bosses, all standard enemy types can be quite quickly overcome with a few taps of the web shoot button and then a pounding of attack and counter options. I could sit here and complain that the fights are too easy, or that they aren’t particularly exciting but truth be told they were a welcome break from the rest of the rubbish, with the major downside of any fight (and indeed anything that the new ‘morality system’ has a play in) being that each were accompanied by more mind numbing five second long news bulletins that I’d seen enough of after the first one. Play on enough to take in a few boss battles and whilst the difficulty of the fights aren’t that much higher than against the usual ruffians, at least you’ll need to start thinking slightly about when to pull off an attack, when to sit back to dodge, or when to play it cool and go in with a counter. 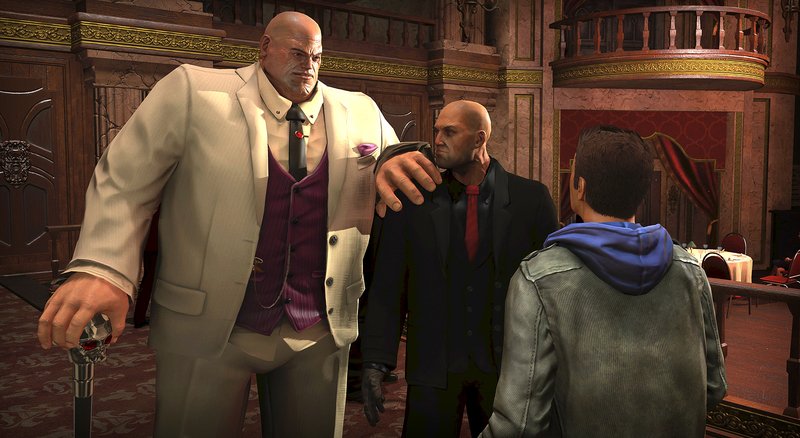 There aren’t however too many bosses to dispose of and with only 14 missions throughout the entire story (some of which are no longer than ten minutes in length), it won’t take you long to find yourself at the end of the main campaign, after which you’ll be back with the fun grinding of side missions and collectables…..and when I say ‘fun grinding’ it’s a hell of a lot more fun than actually playing through the story! If you’re able to look beyond the stupidly long loading times, atrocious graphics, game killing bugs (I found myself trapped in pipes more times than I care to remember! ), and numerous other issues then The Amazing Spider-man 2 can be a half decent time filler, if only for the 300 odd comics you can swing around collecting. It’s just a massive shame that the whole game feels rushed, unloved and desperate. Spidey deserves better. Much better.